A Shared Legacy: Folk Art in America tells the story of extraordinary American folk art made in New England, the Midwest, Mid-Atlantic, and the South between 1800 and 1925. Created by self-taught or minimally trained artists, the works exemplify the breadth of American creative expression during a period of enormous political, social, and cultural change in the United States. Rooted in the family as well as the preservation of personal and cultural identity, the diverse works on view showcase a distinguished collection of American paintings, sculpture, furniture, and decorative arts. 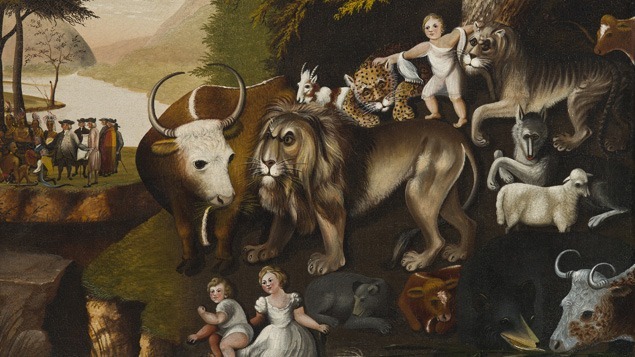 Highlights include rare portraits by such artists as Ammi Phillips and John Brewster, Jr.; vivid still lifes and landscapes, including a mature Peaceable Kingdom by Edward Hicks; whimsical trade signs and figure and animal sculptures; and distinctive examples of furniture from the German American community. These unique works are drawn from the collection of Barbara L. Gordon who, over two decades, assembled a broad-reaching collection of American paintings, sculpture, furniture, and decorative arts of the highest quality.